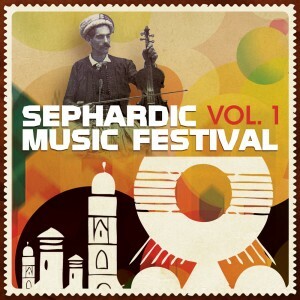 We found this on Jewniverse and thought we would pass it along, as the Sephardic Music Festival came out today world-wide!!! check it: For the past five years, the Sephardic Music Festival has showcased everything from folkdance to electronica to hard rock and reggae. This year, the festival will take place during the eight nights of Hanukkah, from December 1-8, in New York City (and soon thereafter in Los Angeles). But what about those of us in the rest of the world? Our favorite track, “Ven Hermosa,” comes from Pharaoh’s Daughter. It’s a Ladino song which sounds like a cross between a Spanish bolero and a Hasidic niggun. The CD goes from relaxing to abrasive, soothing to rocking out, but it’s never jarring or uncomfortable. It’s like going to a once-a-year concert festival–except that it starts anew every time you press play. TICKETS NOW ON SALE FOR ISRAEL’S MIKA KARNY AND THE KOL DODI ENSEMBLE, ZION80, + HASIDIC NEW WAVE & YAKAR RHYTHMS!